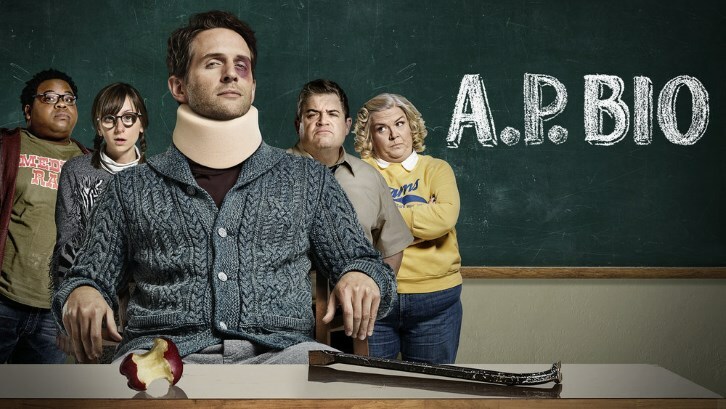 03/01/2018 (08:30PM - 09:00PM) (Thursday) : Jack (Glenn Howerton) gets into a petty dispute with Marcus (Nick Peine), the President of Student Council. Marcus surprisingly refuses to back down and the situation escalates much too far. Stef (Lyric Lewis) sells makeup at school as a side business. 03/01/2018 (09:30PM - 10:00PM) (Thursday) : Jack (Glenn Howerton) puts his students on a new Miles (Tom Bennett) revenge mission. At the same time, Helen (Paula Pell), Principal Durbin's (Patton Oswalt) upbeat secretary, relentlessly tries to get Jack to make something for the annual bake sale.